Professional Incall and Outcall mobile massage services 24/7. Massage for Women and Men in Las Vegas, Nevada and Orange County, California by certified and licensed male massage therapist Apollo. Massage Apollo offers Deep Tissue Massage, Swedish Massage, Relaxing Massage, Japanese Massage, Trigger Point Massage, Thai Massage, Shiatsu Massage, Sports Massage, Lomi-Lomi Massage, Reflexology, Hot Stones Massage, Couples Massage, 4 Hands Massage, and Aromatherapy. Call or text (702) 551-5508 Available 24/7. Outcall Massage Apollo is one of the best choices when it comes to hiring a professional male massage therapist. Whether you are on vacation or business trip, staying in the beautiful hotel in Las Vegas or Orange County, you should always understand what is the best way to hire a professional outcall massage service. You definitely want the best massage experience as possible, specially when the time is limited. I had experience working in many different well established Hotel Spas. That’s why I decided to put this information for your knowledge. Why Outcall Massage Apollo is the best choice? I will always put you on your convenient schedule and will come to your room when you are ready. Spa will put you on schedule depending on their availability. Outcall Massage Apollo is available 24/7. Spa usually takes the latest appointment around 8pm. There is no fee for canceling Outcall Massage Apollo unless if I am already in your room. Spa will charge your room as soon as you book them. If you want to cancel massage they usually will not give you your money back. I am a young professional male massage therapist. Spa usually will send you older masseur and most likely it will be a female. You can not choose your massage therapist. They will send whoever is available. Outcall Massage Apollo provides full 60, 90, or 120 minutes massage sessions. The length of the massage service from Spa will not be 60 min. Usually it’s about 50 or 80 minutes massage sessions. I start massage session time as soon as I touch the body. Spa masseurs will start massage time as soon as they walked through your door. Outcall Massage Apollo provides more than 10 different style of massage therapy for your convenience. Spa usually will give you no more than 5-6 different styles. Outcall Massage Apollo provides an excellent Reflexology Massage in every massage session. Spa dose not have Reflexology Massage on their menu. I don’t require nor expect tips for my Outcall Massage Apollo. Spa masseurs are always expecting a very good tips or in some hotels it’s a requirement and sometimes they include it in your Spa bill. Outcall Massage Apollo has a fixed price for all massage styles. 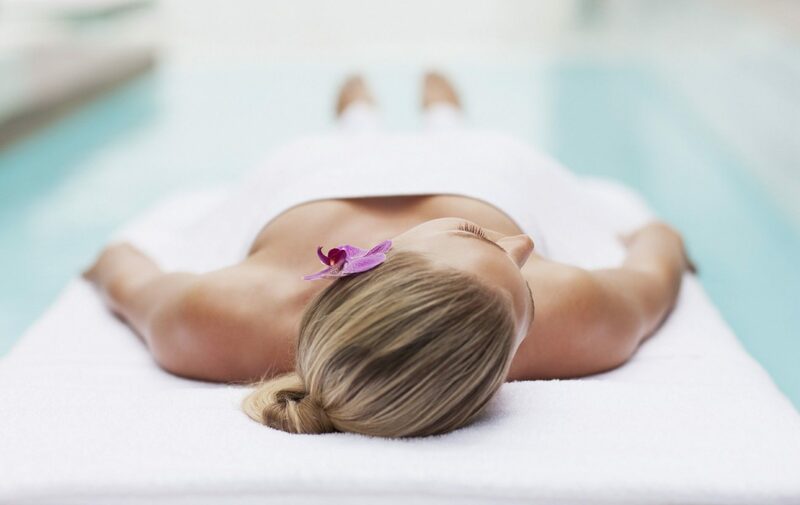 Spa prices for massage therapy will be different depends on the style of the massage session. I personally took this picture while working at The Venetian Hotel. 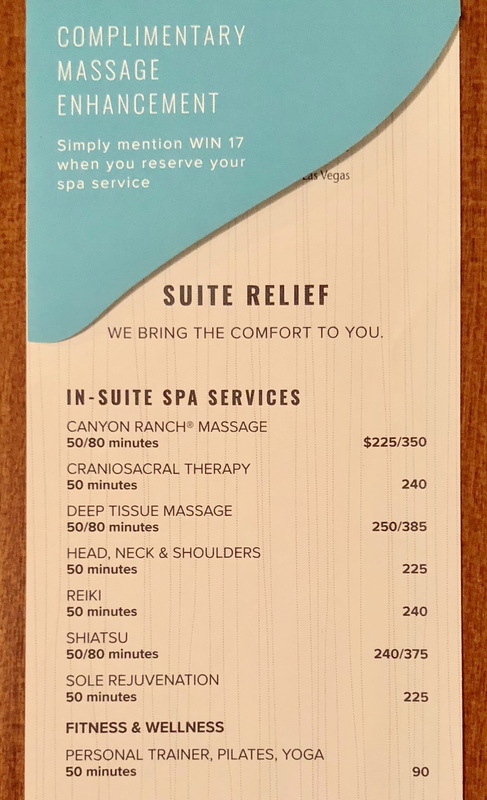 The name of this Spa is Canyon Ranch Spa Club. And this is not the worst example. There are some Spa Facilities will charge much more, specially Fridays, Saturdays, and Sundays. You can always try Spa outcall massage services, just to understand that Apollo was 100% right. And if you want to schedule Outcall Massage Apollo feel free to Contact me 24/7. Reflexology Massage by Apollo is the best way to say good bye to swollen feet, tired arms, headache, stiff shoulders and neck. I provide the most advanced massage techniques when it comes to reflexology. My knowledge about reflexology pressure points mostly comes from Oriental massage techniques. 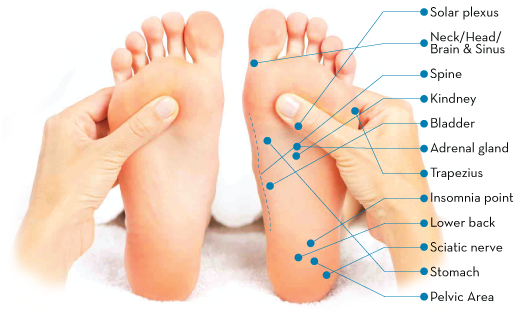 From my experience, the most desirable body parts to massage with reflexology style are feet and head. There are so many nerves on the bottom of the feet. Massaging them with proper pressure and certain technique, the whole body gets benefit of recovery. 1. Reflexology massage provides full relaxation to the whole body. 3. It comes down depression, stress, and anxiety. 4. Reflexology massage promotes better sleep. 5. It treats pains and aches such as headaches, migraines, neck pain, feet and arms aches. 6. Reflexology massage brings down high blood pressure due to full relaxation of nerves system. 7. It improves flexibility of feet, neck, and shoulders by removing stiffness of tiered muscles. Reflexology is an ancient healing practice based on the principle that there are reflex points on the feet that correspond to the body’s different organs, glands and parts. The human foot is capable of handling hundreds of tons of force and your weight in motion. It’s like a miracle design to perfection. Foot has 42 muscles, 26 bones, 33 joints, 250,000 sweat glands and at least 50 ligaments and tendons. In particular the feet has almost 15,000 nerve endings. In every Massage Apollo session I include techniques of Reflexology Massage. It’s not just relaxing, but it has health benefits of the whole body. Since health is my number one priority, I strongly recommend Reflexology Massage to anybody who’s getting professional and long massage session. Being a professional massage therapist I know all the proper pressure points to make you feel on heaven. You will be recovered from stress and tiredness. I am always paying a special attention to all concerns you might have when scheduling your reflexology session. Contact me 24/7 to schedule your Reflexology Massage Apollo. 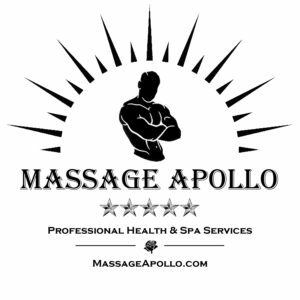 Massage for women by Apollo is available 24/7. You can call, text or email if you want to schedule in advance. I can always provide massage for women on the last minute booking appointments. The best way to contact me if you want to schedule asap is call or text. I have years of experience massaging women. There are lots of reasons why women are in need of a massage therapy. In many cases, emotional stress can pull hard on the physical body. And that’s where you feel you want massage so much. Other reasons for massage for women are hard working out, going through tough diet, damaged relationship, stress from work, travel, car accident, sport injury, divorce, etc. Very common, when husband or boyfriend wants to set massage session for his wife or girlfriend. Sometimes, I deliver my massage services as a surprise for a birthday girl, a bachelorette, or just because. Husbands and boyfriends are often asking me to teach them some massage techniques and pressure points, so they can massage their loved once when I am not around. Usually when I teach them how to massage proper, we end up massaging her together. Basically, performing 4 hands massage for women. Usually, the best massage for women technique is combination of Swedish Massage, Deep Tissue massage, and Relaxing Massage. Some of my female clients prefer Lomi-Lomi Massage with Hot Stones Massage. Lots of spiritual and breathing techniques I use from Japanese Massage Therapy and Meditation Practices. Massaging in Las Vegas I always get tons of requests from females to do foot massage. The reason for feet and calves massage is being on high heels all day long. And at the end of the night Apollo is bringing these tired feet back to life. Reflexology massage for women is always one of the best ways to recover. I also do massage for women who is preparing for fitness or bikini competitions in NPC or IFBB shows. For those competitors I have a special sports massage techniques where female athletes can burn more fat, loose more water, and get better muscle definition with faster recovery process. Even if your goal is to get in the best shape of your life, without any competitions, I apply the same massage style as if you would be preparing for the stage. I love to provide not just a physical massage therapy, but also having a strong spiritual connection and full mental relaxation. That’s why massage for women is always like a ritual, where massage for women is becoming a therapy for body, spirit, and soul. I feel always happy if I can make somebody’s life better. Contact me 24/7 to schedule massage for women by Apollo in Las Vegas or Orange County.